Play to win with these poker chips! Makes a great, wacky gift! 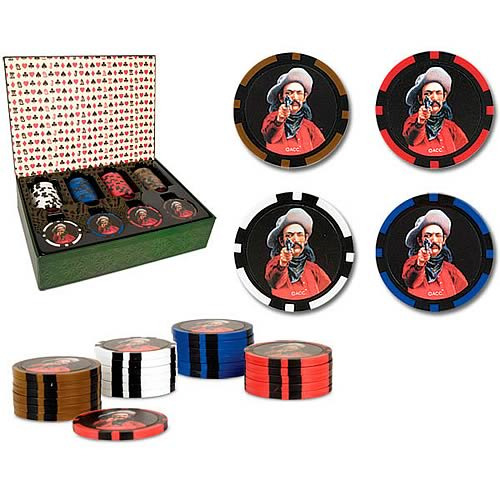 These high quality, composite poker chips are 11.5 grams and feature the same striking cowboy image as our Texas Hold 'Em Card Set. Each set includes 60 chips in four custom colors (fifteen of each color) and comes with complete instructions on how to play Texas Hold 'Em. Illustrated storage box. Order yours today!